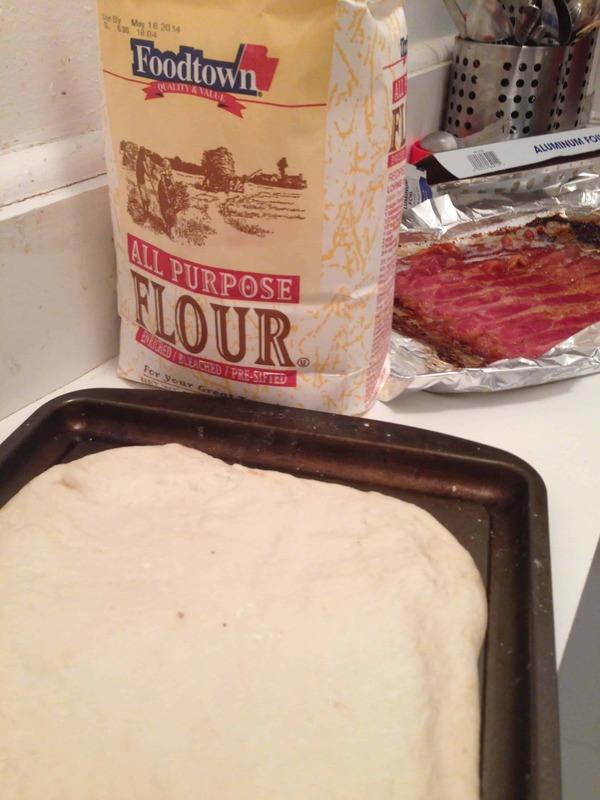 Start by preheating the oven to 500 degrees and flour the cookie sheet for baking. 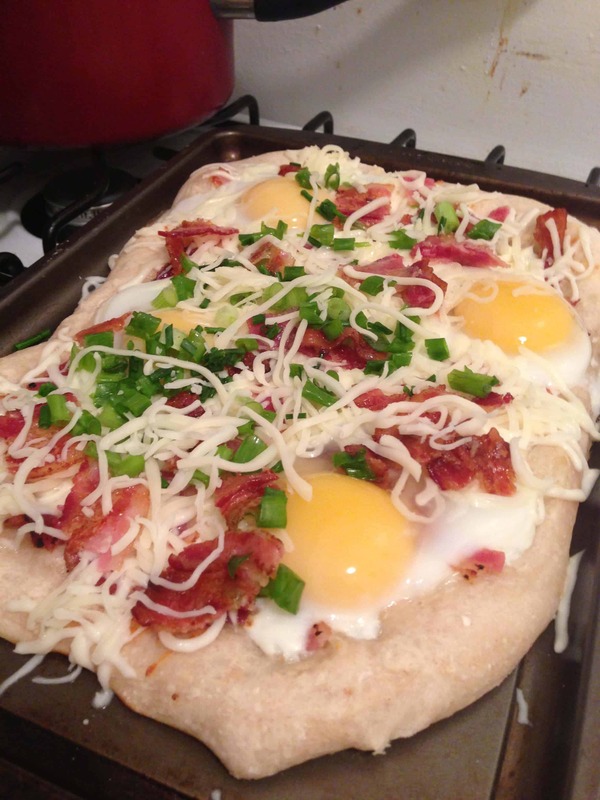 Spread the pizza dough out, onto the floured cookie sheet, until it evenly covers the entire sheet, remembering that the dough will contract slightly during the cooking process. 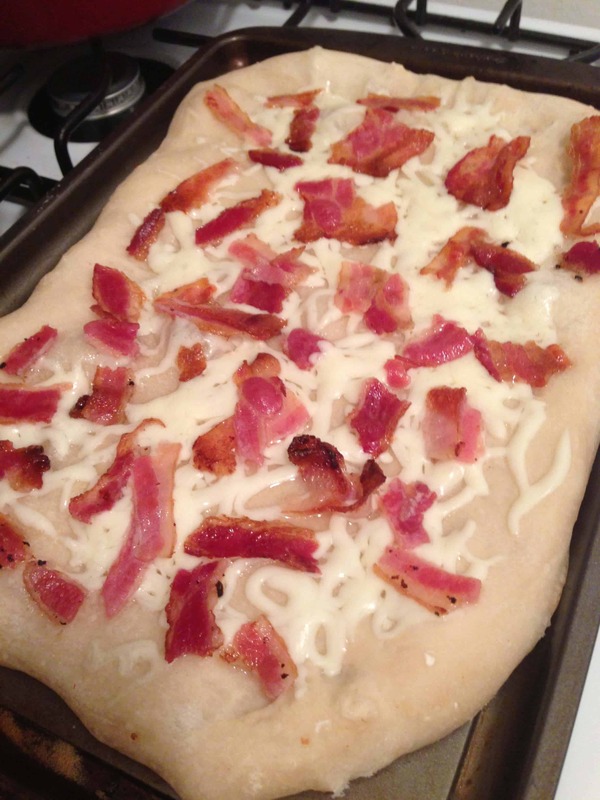 Then sprinkle half of the cheese and bacon onto the dough, and let this cook. 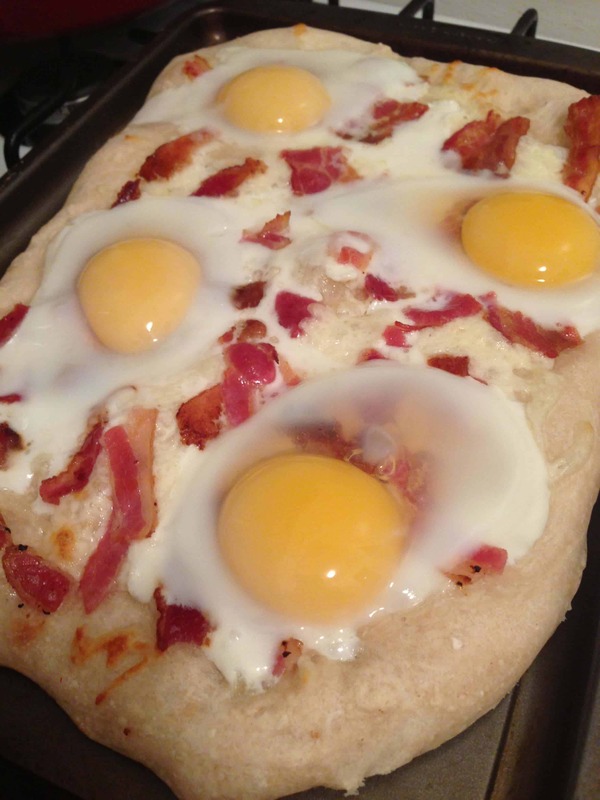 After about 5 minutes in the oven, take the pizza out and crack the eggs on top. Put the pizza back in the oven and let it cook for another 2 minutes. 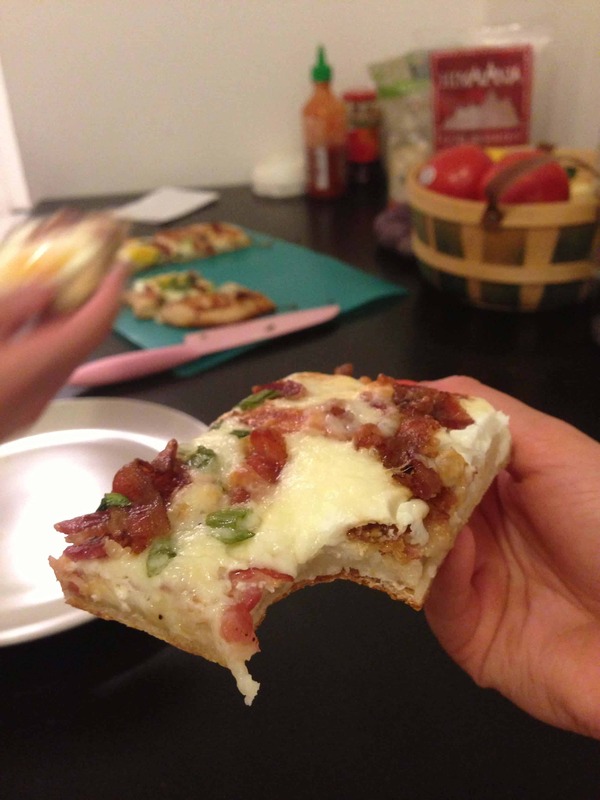 Once the two minutes pass, sprinkle the pizza with scallions, chives, and the remaining bacon and cheese. 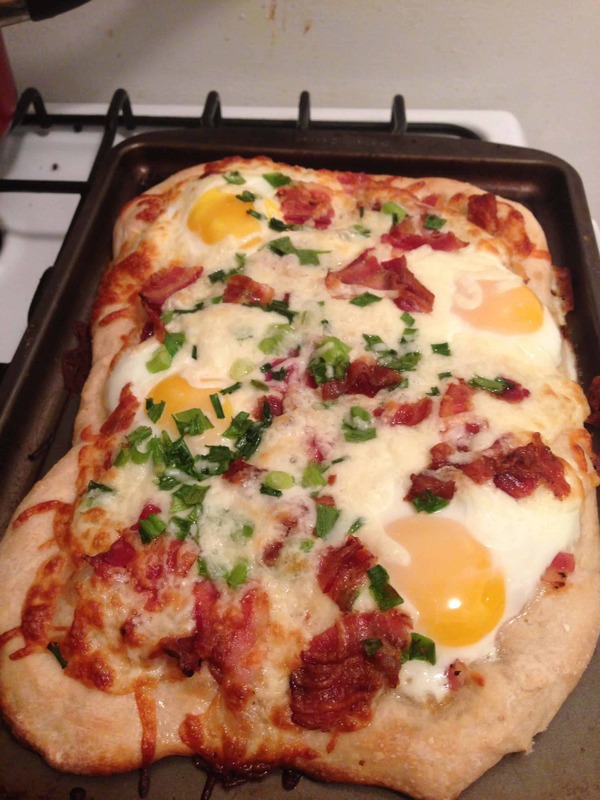 Finally, pop the pizza back in the oven for another two minutes. 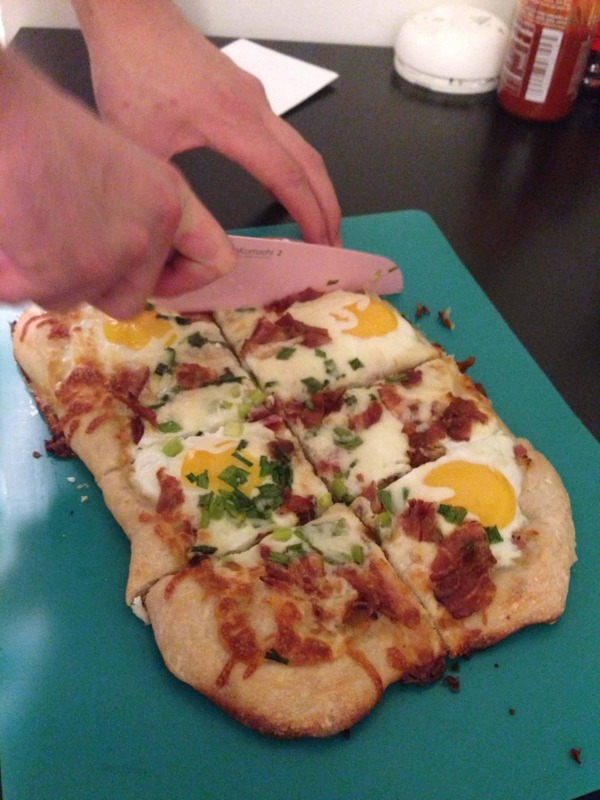 Once the edges are golden brown, pull the pizza out and let it cool slightly before serving. 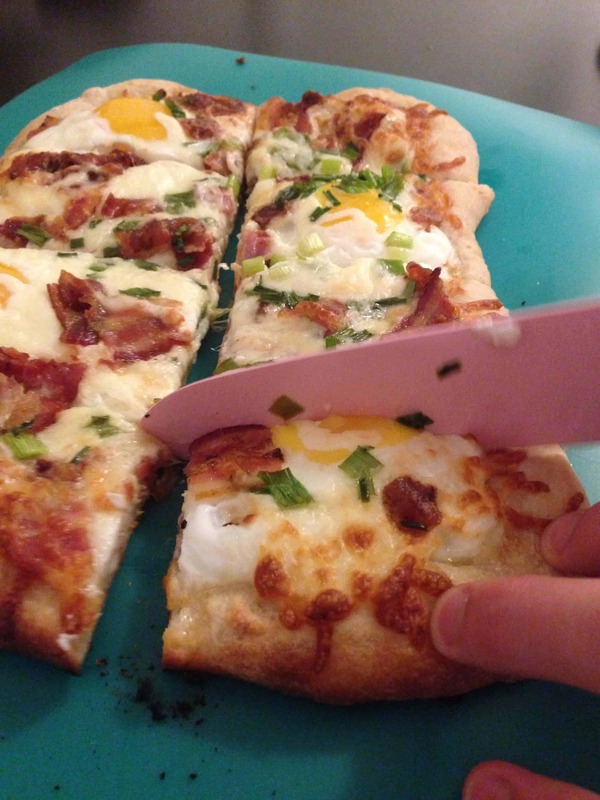 It’s important you serve the pizza promptly because the eggs will continue to cook from the heat of the pizza. I absolutely loved this dinner! 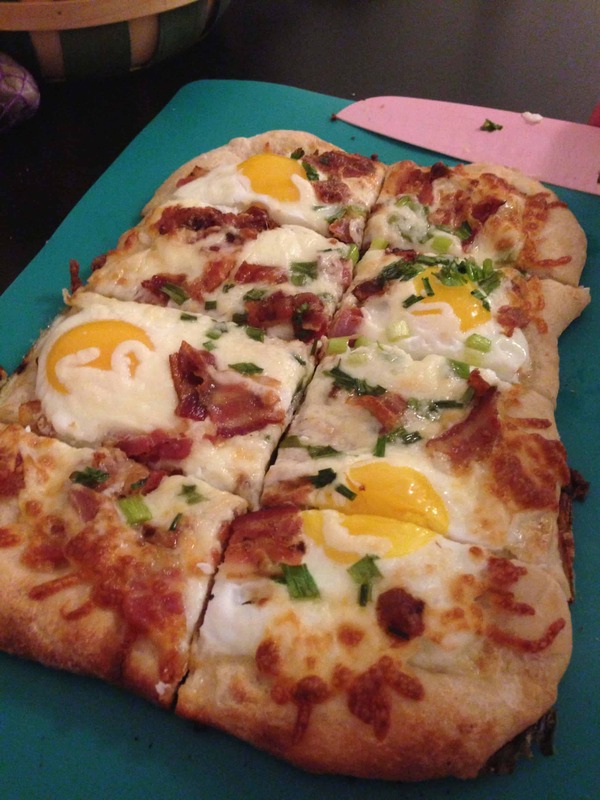 I let the pizza cool a teensy bit too long, so my yolks weren’t as runny as I would have liked. But other than that, this meal was a home run!